Tamang Heritage Trail is one of raising trails which is getting more popular day by day among the adventure lovers. This is not a touristic trek and you might not see any tourist on many occasions. This makes the culture and environment pristine and away from modernization. Most of the people living in the area we trek are Buddhist. 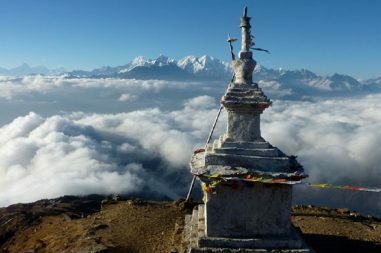 In addition, throughout the trail you can see the chhortens and Stupas with colorful prayer flags. Langtang region is one of the most popular trekking regions in Nepal. Langtang is not only rich in terms of its natural heritages but also offers a nice experience interns of culture. 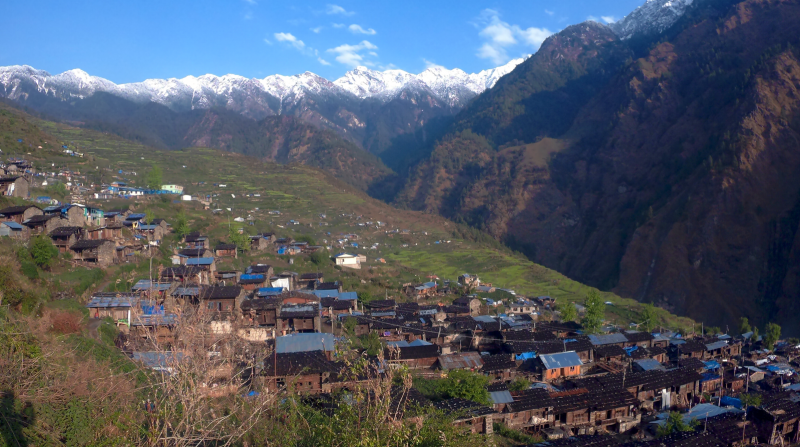 The Tamang settlements, the alpine grass lands with colorful wild flowers and the high rise mountains are the major attractions in the Langtang region. Besides these ,attractions the community holds a different operated home stay in various places are also getting popular among tourist who want to experience something different than a commercial accommodation. This Tamang Heritage Trail will combine home stay and lodge accommodation. 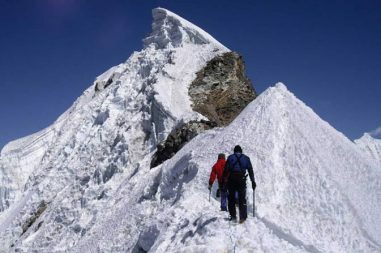 Throughout the trek you can witness the various peaks in the region such as Langtang Lirung, Ganesh Himal, Shispangma, Tibet peak and many more. So, if you are bored of the trekking lodges and hotels you can come along us to experience this home stay trek in the Langtang region. We assure you best hospitality and quality services. After breakfast we drive to Syabrubesi from Kathmandu which is almost 7 hours drive on rough road. Upon reaching Trishuli bazaar we will have lunch and continue our drive. Today we have a long yet interesting day with almost 6 hours of walk. We walk up in a steep trail up to Rongga Bhanjyang for about 3 hours and stop for some photography and rest. From Ringa we descend about an hour to reach Goljung where we will take a lunch break. It takes us 3 more hours to reach Gatlang from the lunch place. In the evening we can do a short excursion to the pond named after Lord Shiva’s wife, Parvati. After breakfast we head up into the trail that goes up to Chilime and takes about 2 hours. After a brief stop at Chilime we cross a suspension bridge and climb another couple of hours before reaching Gonggang village which is our lunch spot for today. After lunch we head towards Tatopani and in a descent pace it talks us little less than 2 hours to reach Tatopani, or the area of hot springs. It is believed that taking a dip in these natural springs helps to get rid of the skin diseases and also the tiredness after a long day walk. Our guide will accompany you to the hot spring. Having a beer while you are in the pond is a luxury in the cold mountains. After the hot spring dinner will be ready and enjoy dinner and plan the next day with your guide. Our destination for today is Nagthali, which literally means the Snake point. We start the day after a warm breakfast prepared by our Home stay host and continue our 5 hours walk for today We ascent and descent until Brimdang a small settlement with a monastery. WE continue from here after a brief rest for another 2 hours and reach Nagthali, where you can enjoy the lunch (if you are not hungry on the trail) with the view of the central Himalayan region of Nepal. After breakfast we start the longest and most tiring day of the trek. We will trek for one and a half hours and take a small break for drinks at Thuman village as we don’t find any more hotels and tea houses until we reach Timure. After a short break we continue till the Bhote Koshi River and after walking for about 4 hours from the river we reach the village of Timure. If you wish to walk more (if your body allows you) we can continue our walk to Rasuwagadi. By the end of the day your tired legs will suggest that yes you have walked more than 8 hours. 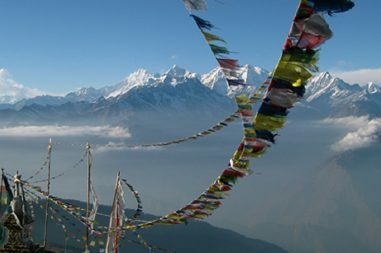 Today our destination is one of the most popular Home stay destinations in Nepal. We are heading towards Briddim which takes about 6 hours from Timure We will walk for about 3.5 hours in the opposite direction of the flow of Bhotekoshi and reach Lingling where we stop for Lunch. After lunch and a brief rest we continue to ascend couple of hours till the village of Briddim. Briddim is a scenic village at more than 2200 m with a nice community home stays program and nice Mountain View. Experience the Nepalese home stay in the evening with Nepalese delicacies and interactions with locals. Today we go down and down until reaching the Syabrubesi. On the way we pass thin alpine forests and rhododendron bushes and a lot of thin Tamang settlements. In 5 hours we reach down and in the evening we will celebrate the completion of the trek with drinks and nice snacks. This day we will have a scenic drive back to Kathmandu of about 6 and half hour.